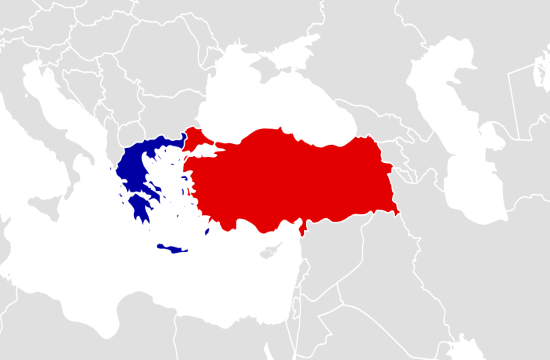 Greek Prime Minister Alexis Tsipras referred to "sincere talks" with Turkish President Recep Tayyip Erdogan on Tuesday afternoon, followed by expanded contacts between delegations of both sides, naftemporiki.gr reports. Speaking during a joint press conference afterwards, he noted both countries were able to cooperate in 2015 and 2016 during the height of the refugee crisis in the eastern Aegean, which began in earnest, during his first six months in office. He also referred to conditions being created to again begin talks over the Cyprus issue, "where for the first time we discussed security issues on the island, and nearly reached a solution". "Unfortunately, however, the abhorrent coup followed in Turkey and developments brought this cooperation to a stop," he pointed out. Asked about the issue of eight Turks, former military officers and NCOs, who have sought political asylum in Greece, Tsipras said the matter is a "thorn" in bilateral ties, as well as the holding of two Greek soldiers was previously. Both men also agreed to work towards a de-escalation of tension in the Aegean Sea, as well as to build trust between the two sides. Finally, Tsipras repeated Athens' standing support for Turkey's European prospects, something he stressed benefits Turkey and Europe. Additionally, he pointed to the significance of adhering to international law in the eastern Mediterranean.